If you’re putting up with bad allergies, there’s a chance that it’s because you have bad air. As we transition from winter into spring indoor air quality becomes even more important. 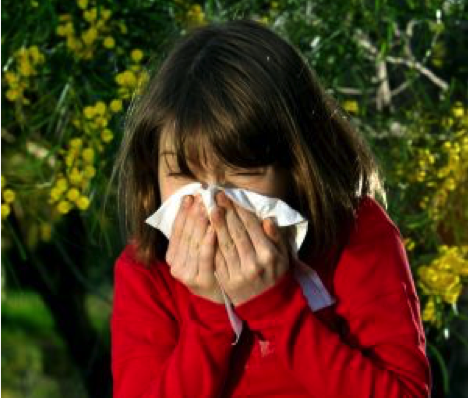 As the hay fever season is coming soon, we keep our windows shut to avoid runny nose and sneezing. We start staying indoors more often. For those of us that deal with allergies or asthma, poor indoor air quality could be our enemy too. So what can we do to keep those allergens away? The regular home creates quite a bit of dirt and dust through the year. Your home comfort system has to filter through that dust. A duct cleaning will rid your system of dirt and debris that has piled up in your system. This can help get rid of any impurities that might be lodged, make your home smell better, and help you breathe easier. These are just a few of the things that are available to improve your indoor air quality. Every home and every home owner has individual needs and we will work with you to make sure your home’s needs are being met every step of the way. If you have any questions about bettering your indoor air quality or about home comfort in general give us a call at 1300 673 828 / 1300 MR DUCT or set up an enquiry online. The average air filter lasts a month or two, depending on your lifestyle (some even more). Your air filter is the first line of defense against impurities and allergens. The better air filters eliminate pollen, bacteria, pet dander and mold from your air. If you’re not changing your filter on a regular schedule, they aren’t able to do their job. An additional bonus to all the fresh air you’re breathing is that a clean filter also improves your unit’s efficiency. Lennox carries the best UV light intensity on the market. Germicidal lights are an effective, non-chemical means of eliminating contaminants within your home’s comfort system. These lights eliminate the DNA of bacteria, viruses and fungi that are in your system which keeps them from growing or multiplying. Our germicidal lights lower the concentration of microorganisms by 50% in as little as 45 minutes. Even when your system is not currently working, a germicidal light will still be running to keep your air clean and healthy. Should Air Conditioner Units Be Checked And Cleaned Frequently?